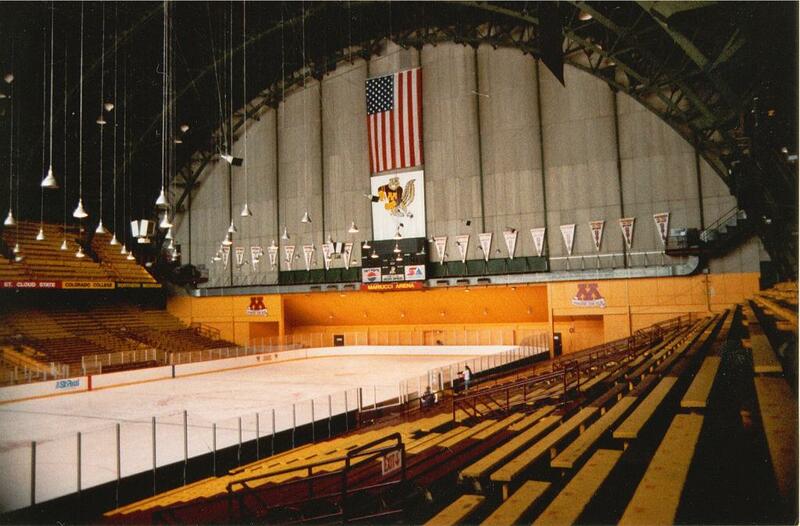 Williams Arena/Mariucci Arena "The Barn"
For 43 years "The Barn" was home to the Golden Gopher hockey team. 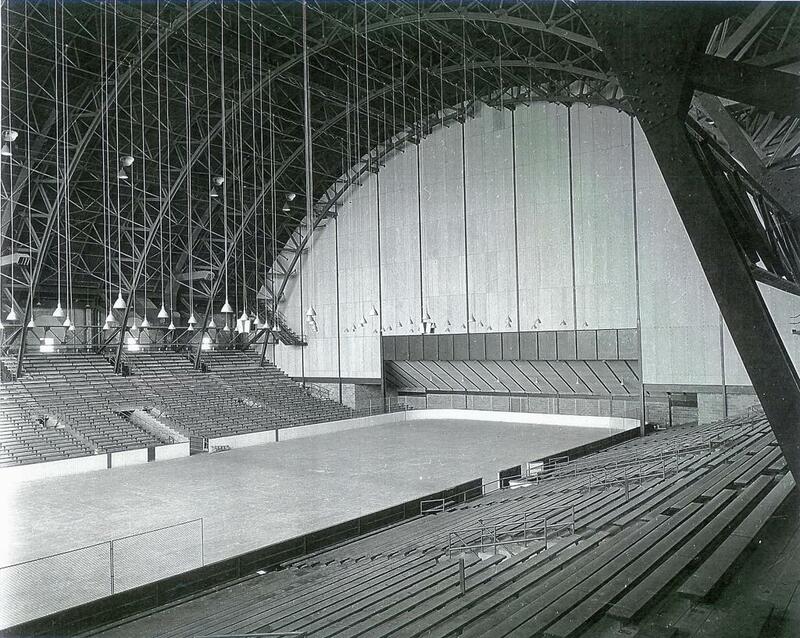 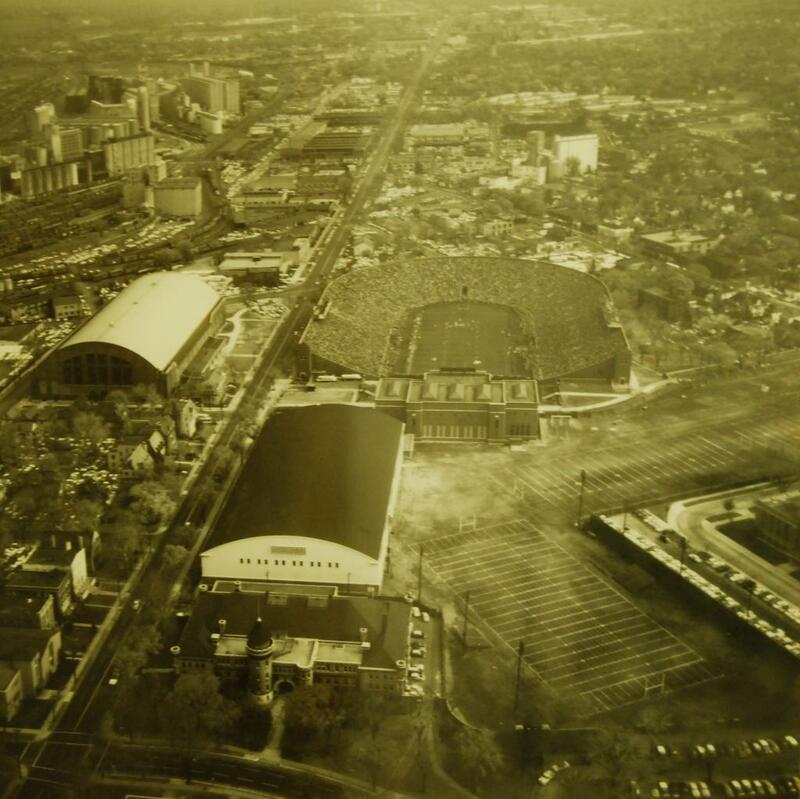 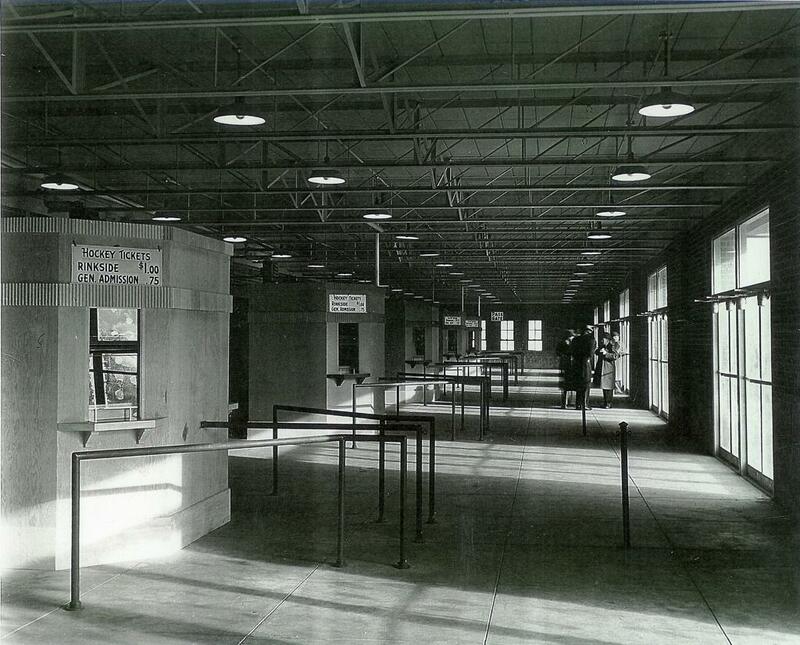 In 1928, "The Barn" opened it's doors as the Field House. 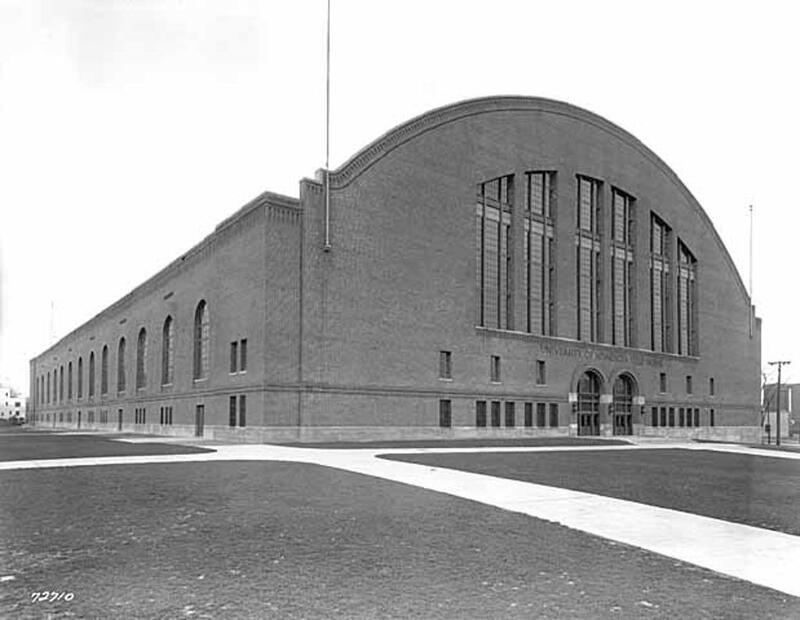 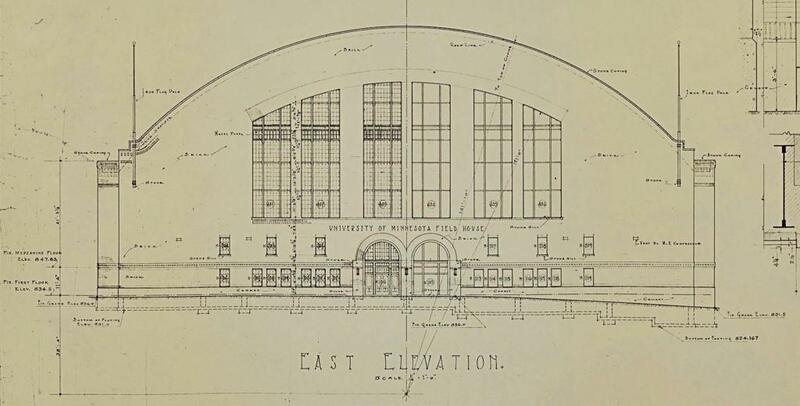 At that time, the Field House was the new home for the Gopher basketball team. 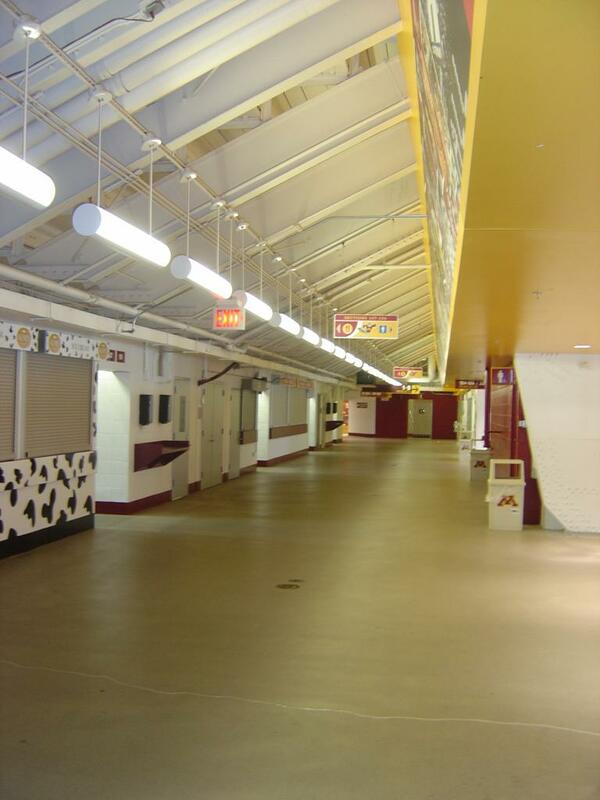 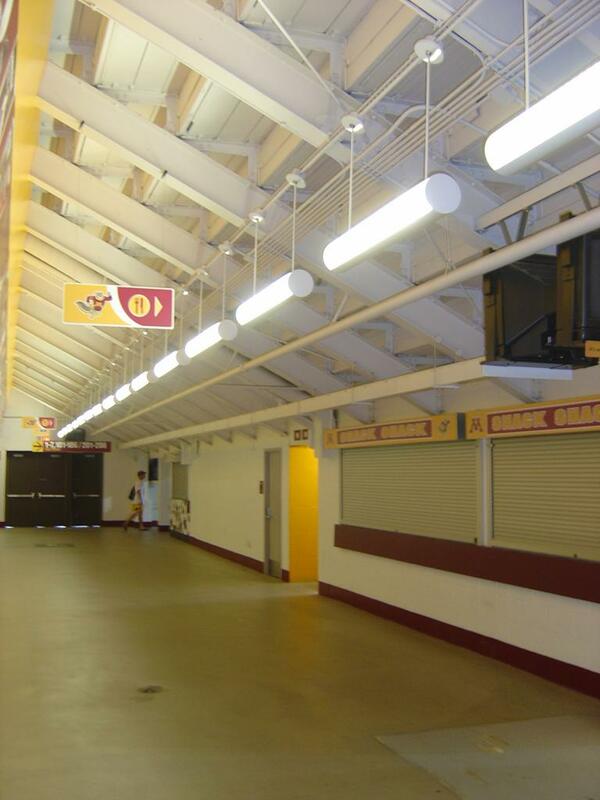 Over the years the non basketball side of the facility was used as an indoor practice field for the Gopher football and baseball teams as well as other sports. 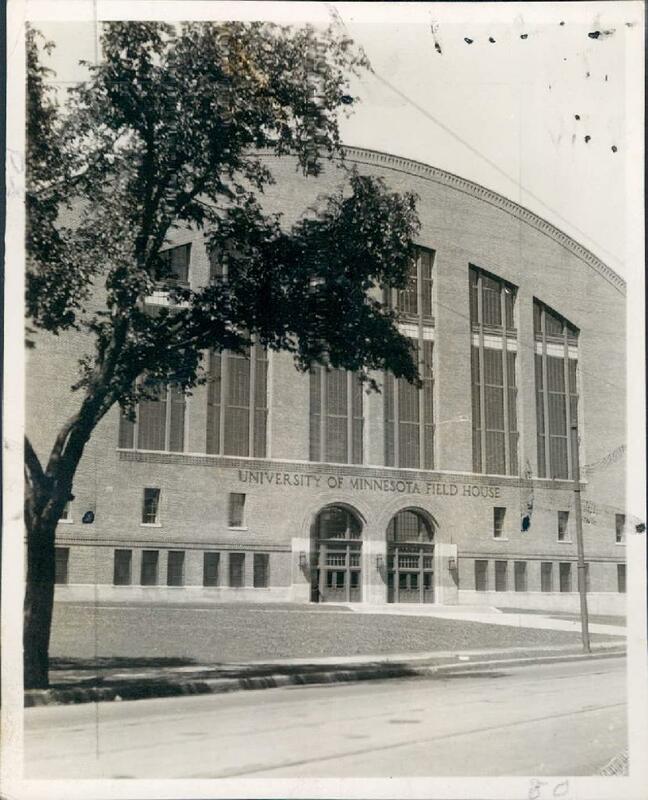 In 1949, the Field House was remodeled and became Williams Arena the home of both the basketball and Gopher hockey teams. 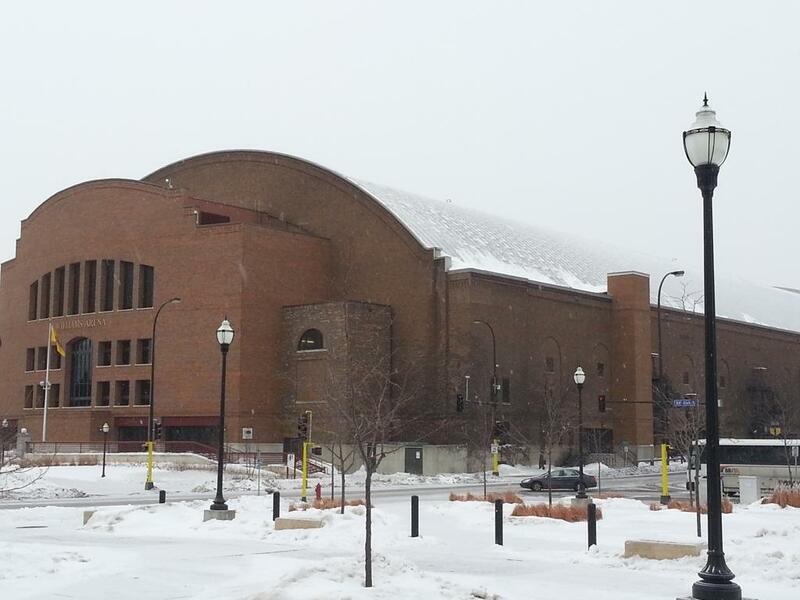 It was renamed in honor of Henry L. Williams who was coach of the Gopher football team from 1900 to 1921. 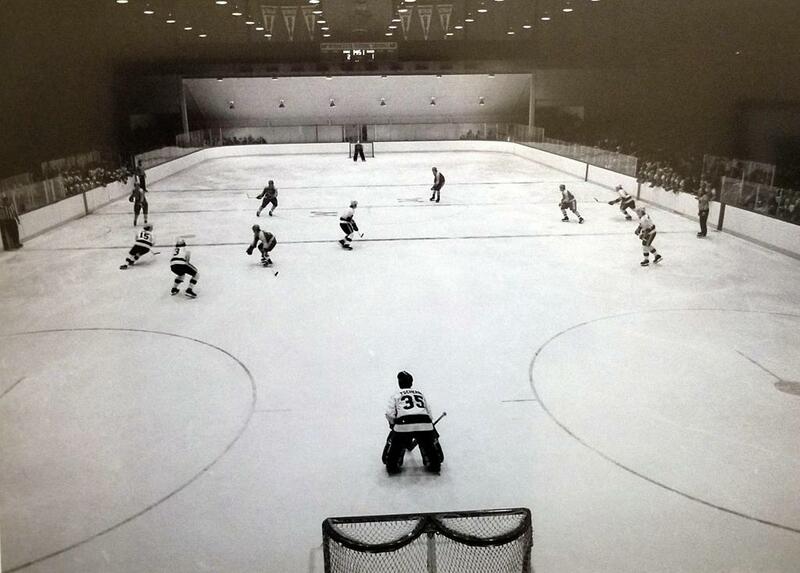 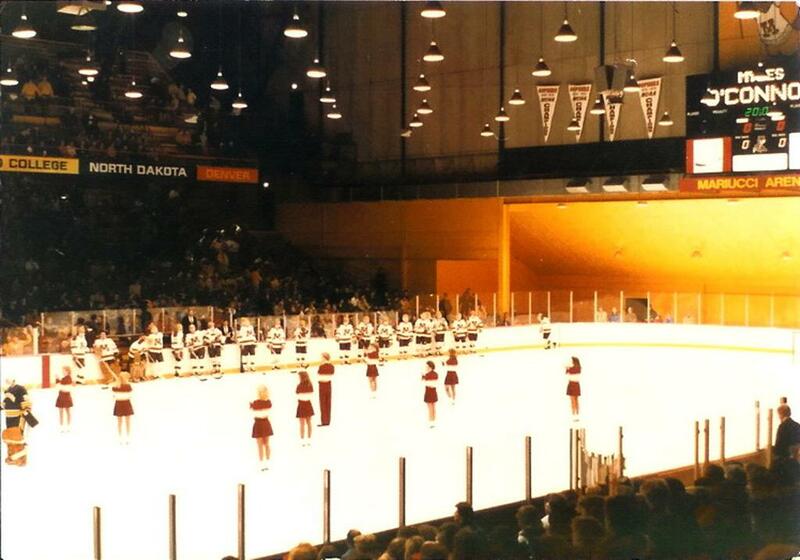 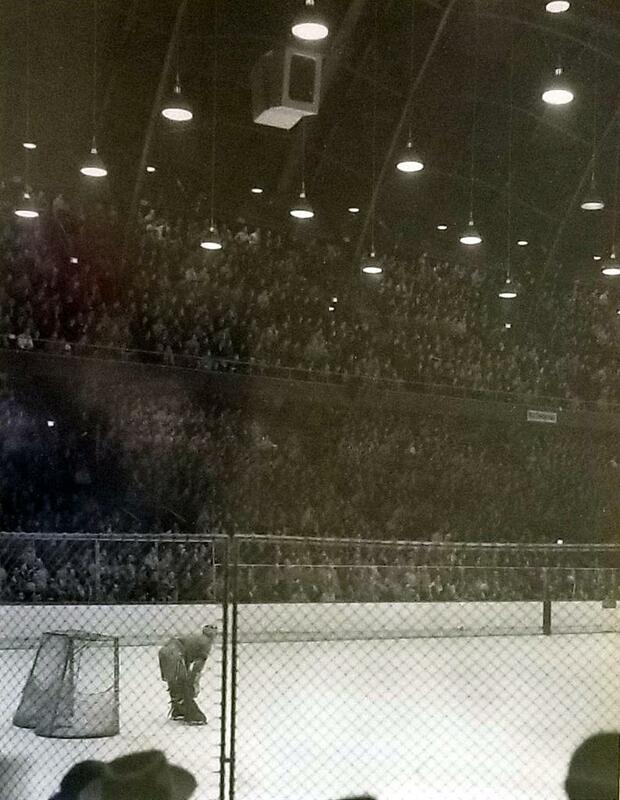 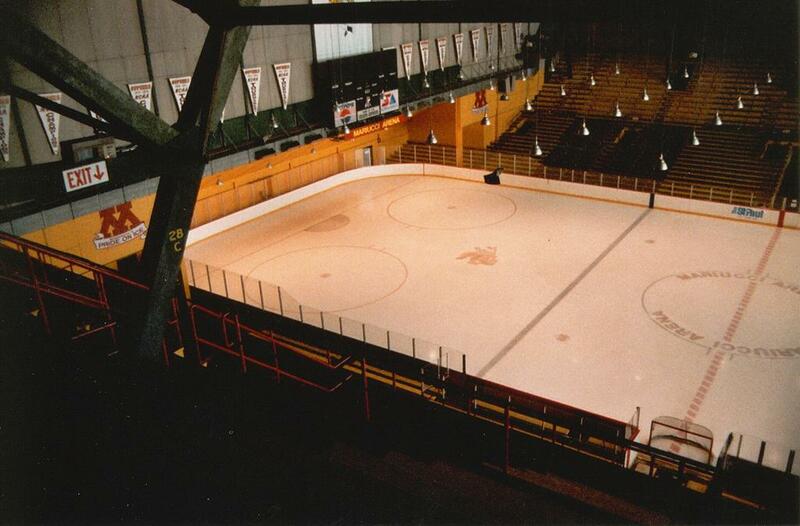 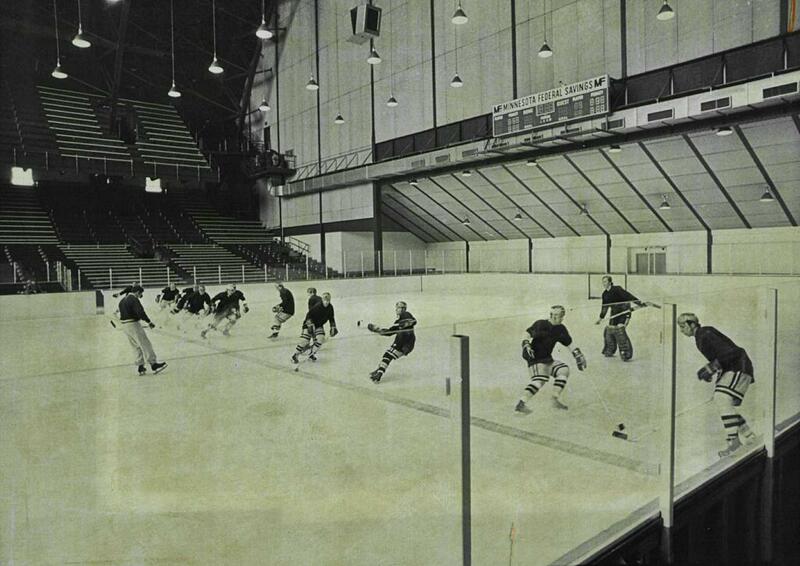 With the creation of the hockey arena, the Gopher hockey team had their first home ice arena on campus. 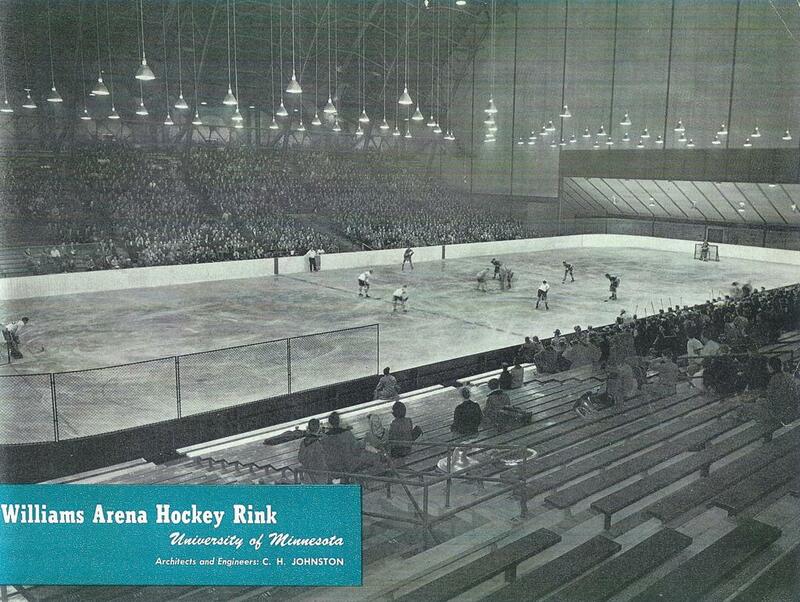 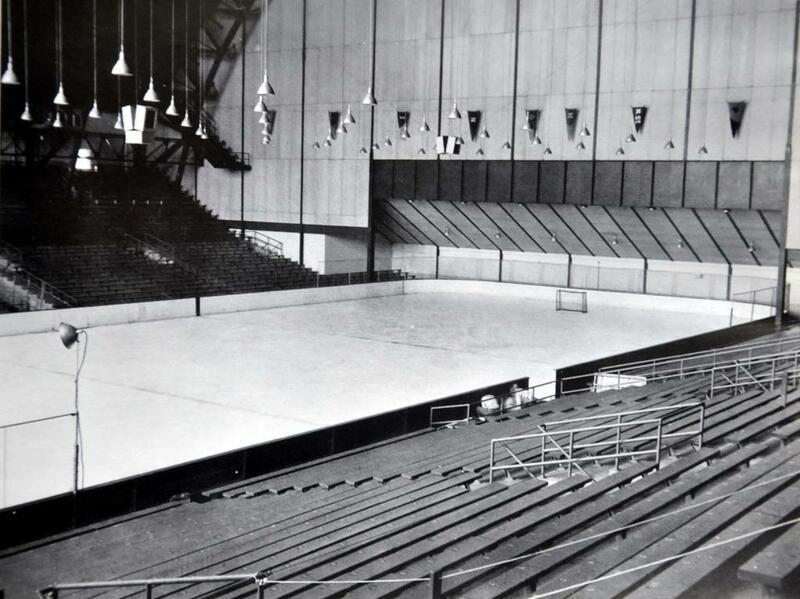 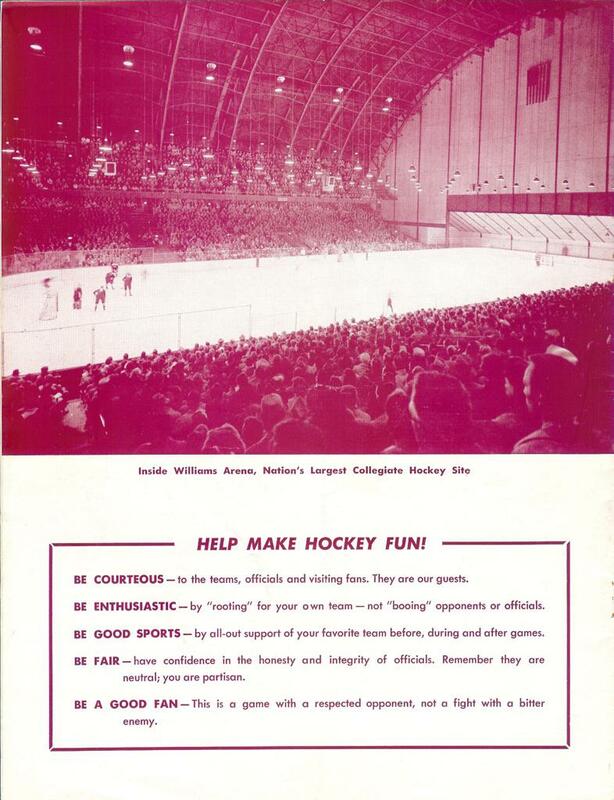 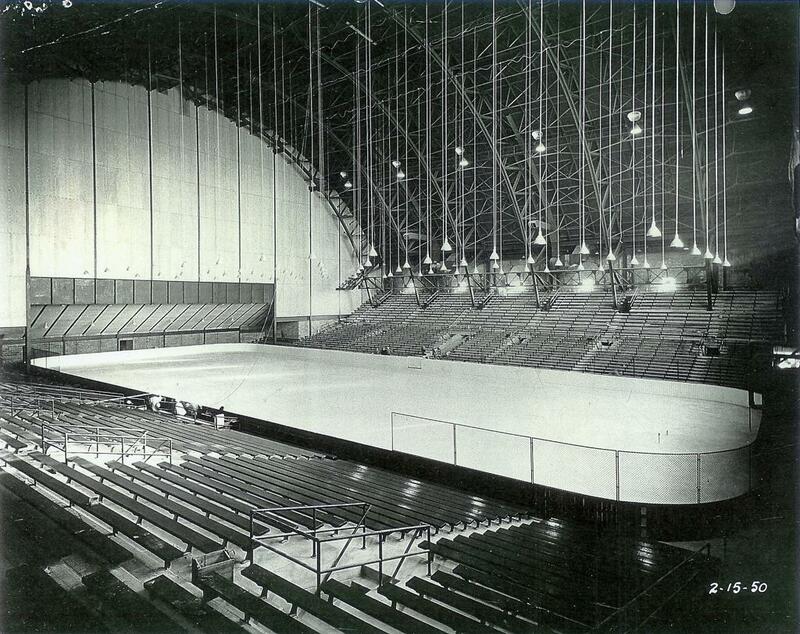 On February 17, 1950, before a crowd of 3,774, the University of Minnesota Gopher hockey team played their first game in their new arena. 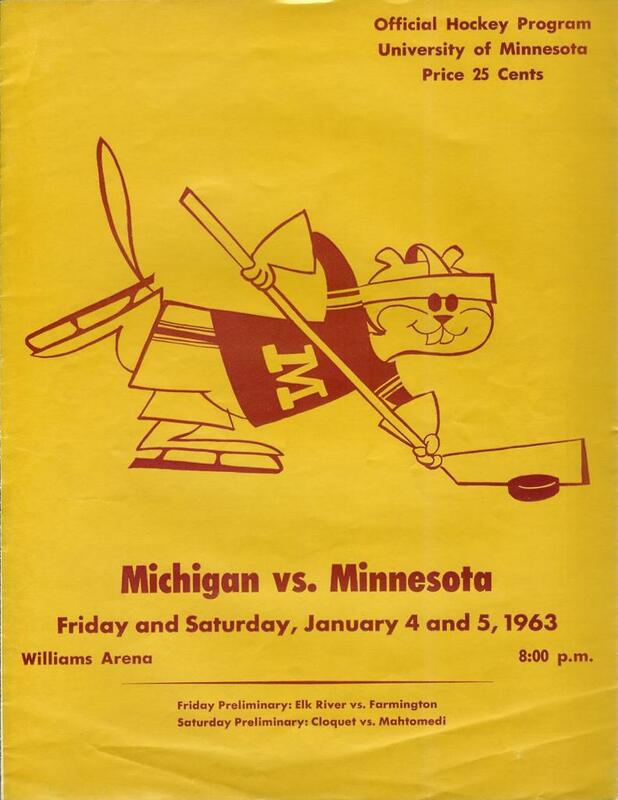 The opponent was Michigan State and the Gophers won the game 12-1. 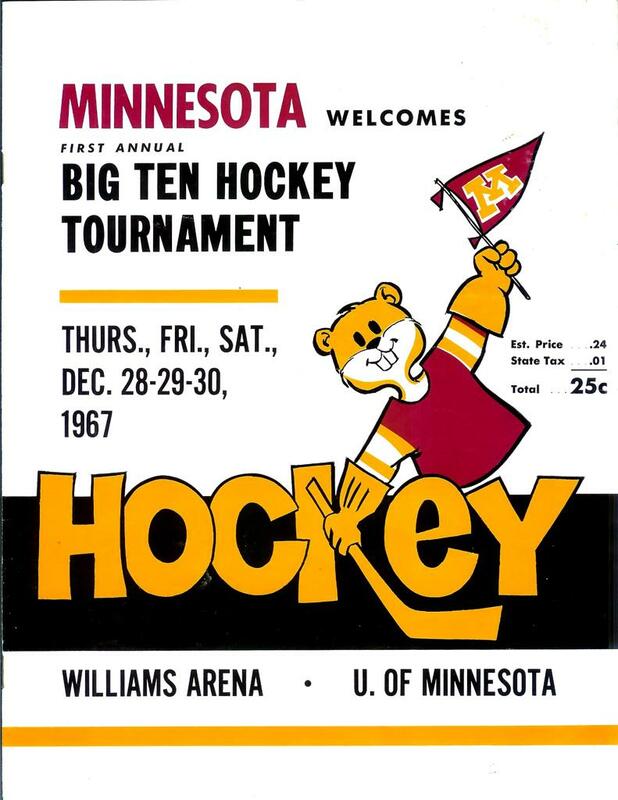 So began a new era of Gophers hockey. 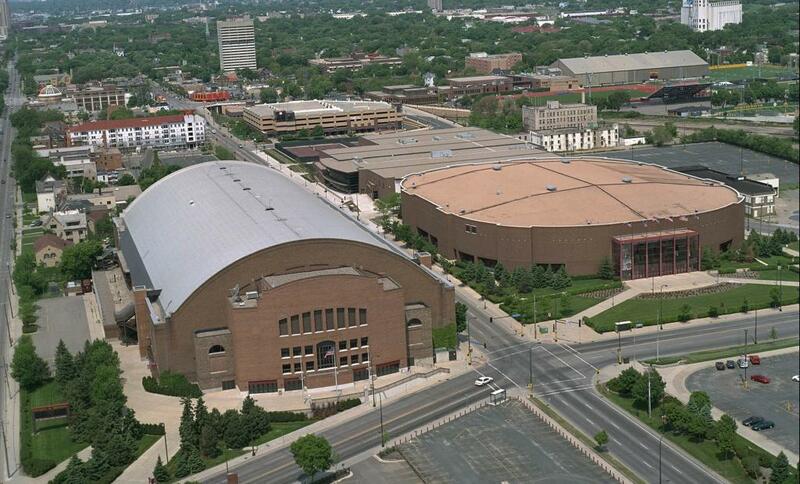 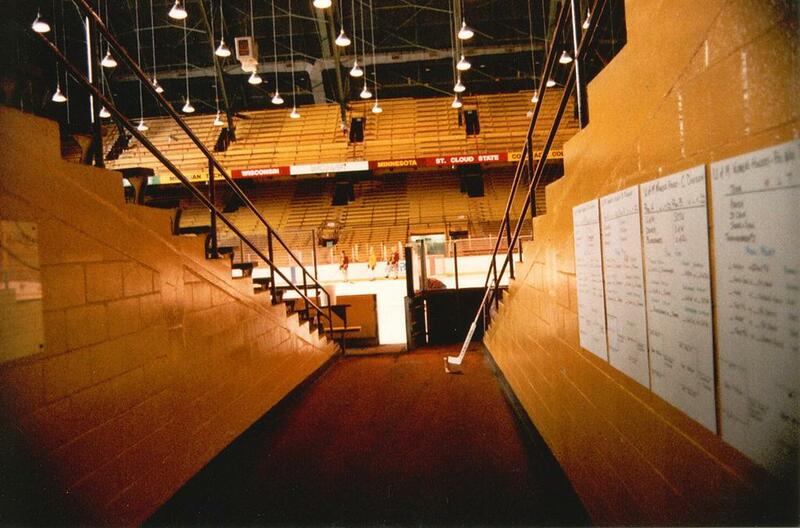 In 1958 Williams Arena was host to the NCAA National Championship tournament. 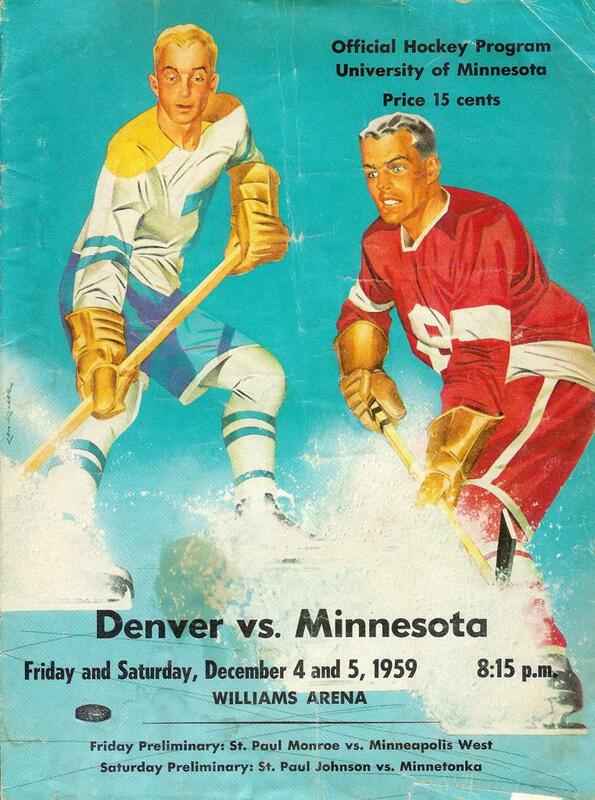 This was the first time the tournament was played outside of Colorado Springs. 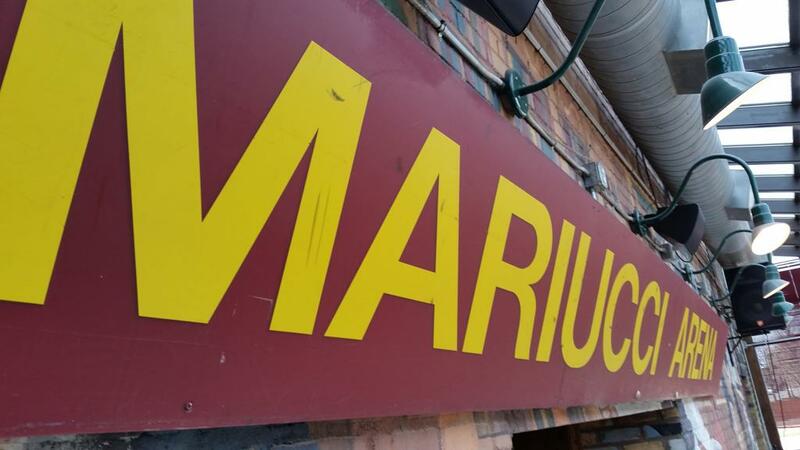 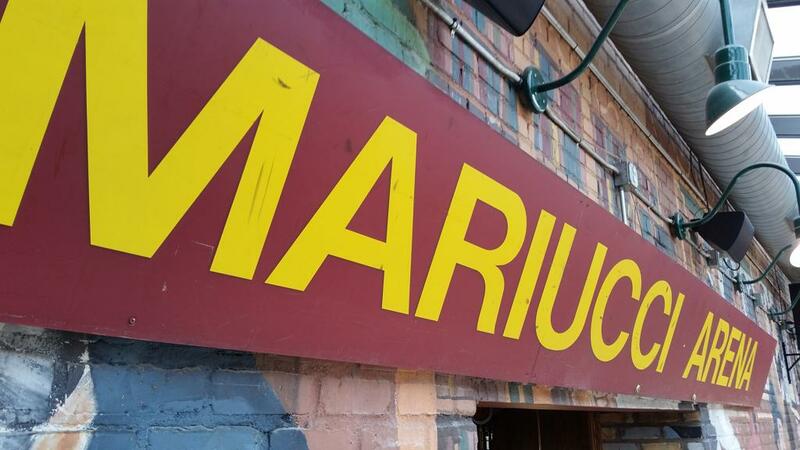 In 1985 the hockey side of Williams Arena was renamed Mariucci Arena in honor of former Gopher hockey player and coach John Mariucci. 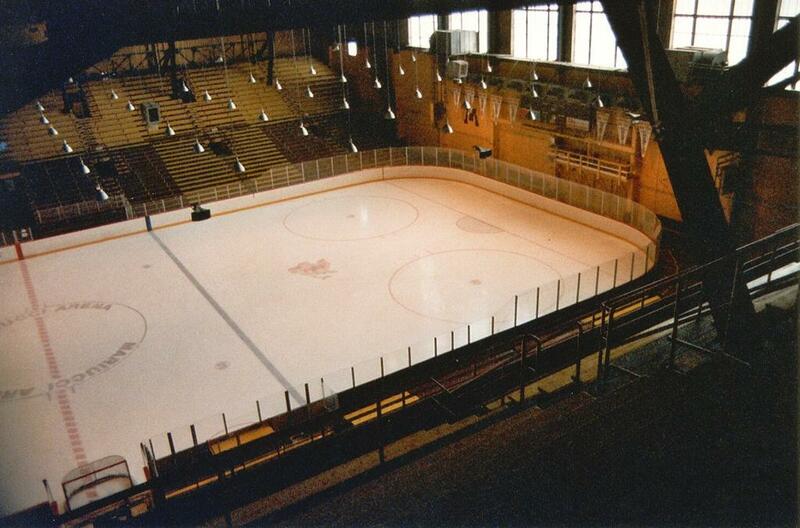 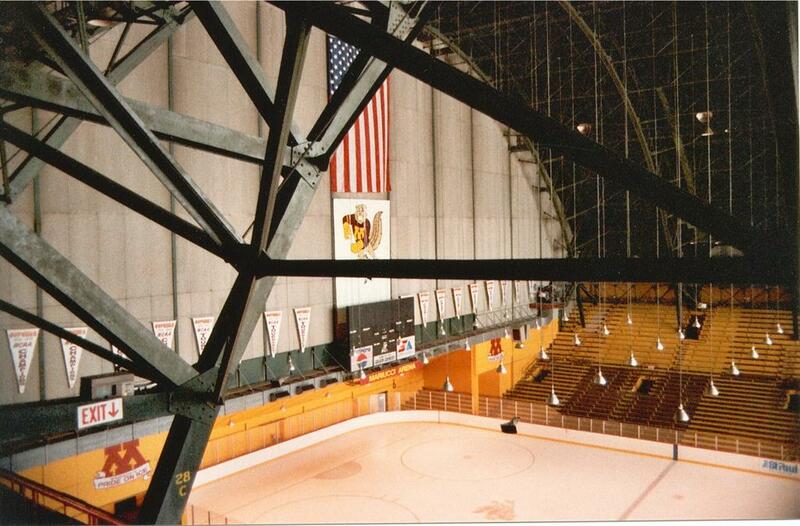 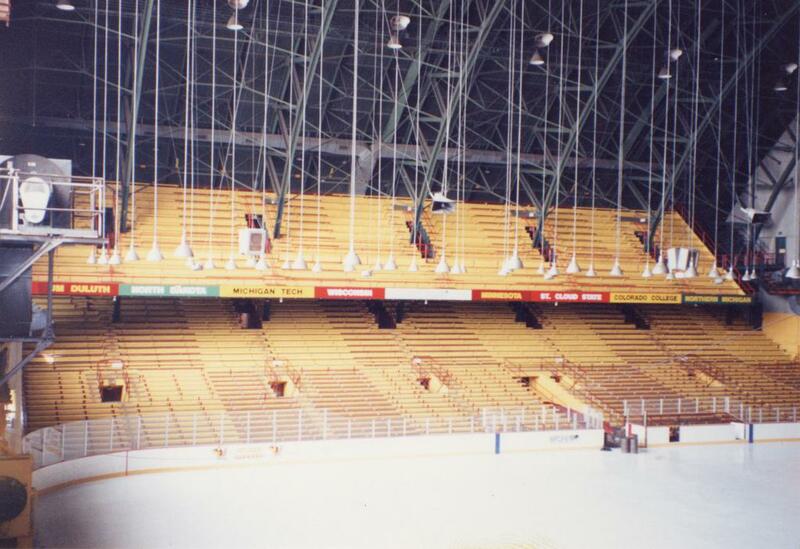 On March 13, 1993 the final hockey game was played in Mariucci Arena. 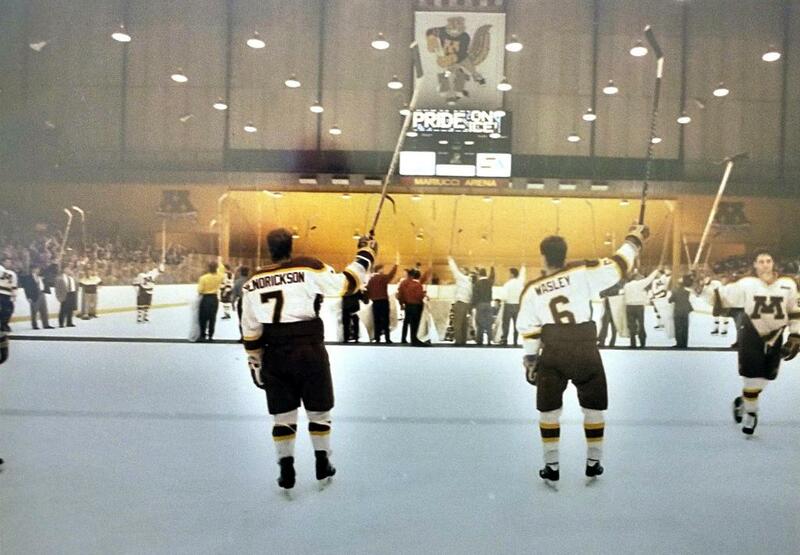 In a WCHA league playoff game, the Gophers beat North Dakota 5-4 in OT before a crowd of 7,449. 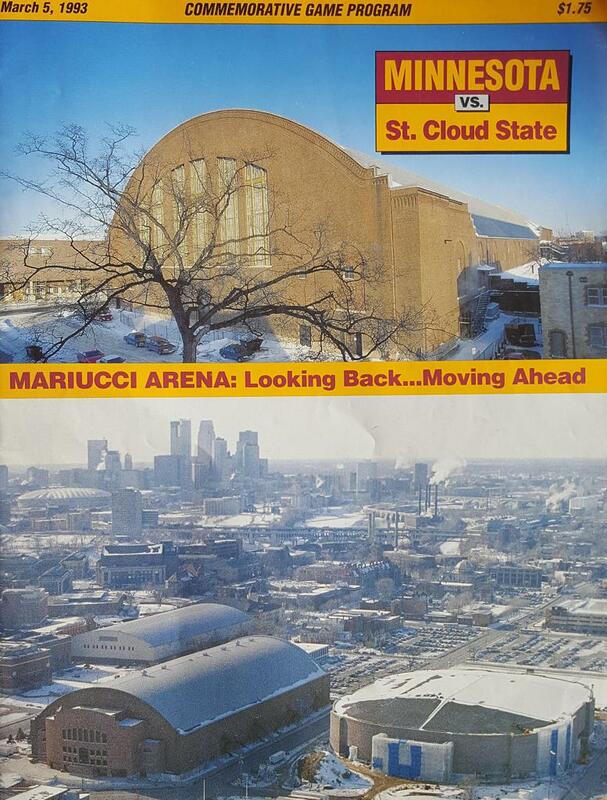 Today the "Old Mariucci" arena side of the complex was remodeled and was renamed the Sports Pavilion. 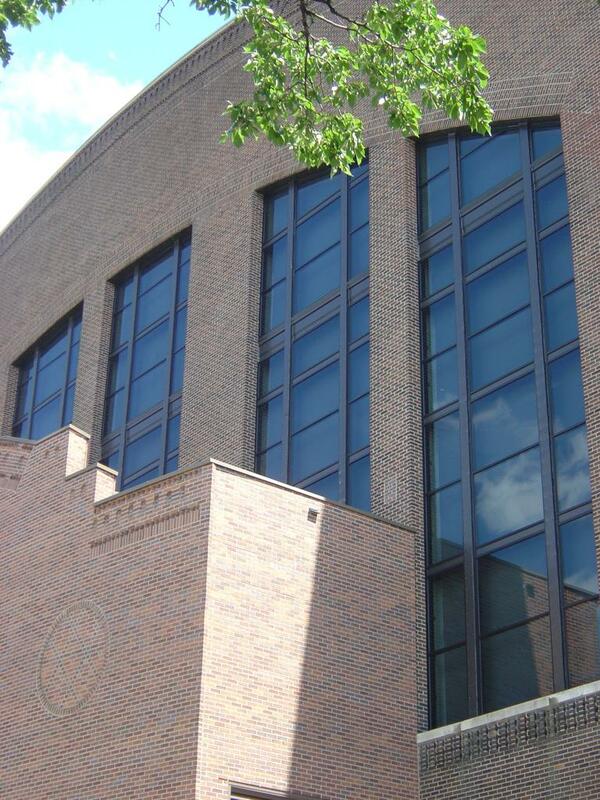 The Pavilion is home to various UofM athletic programs including Volleyball, and serves as a practice basketball facility. 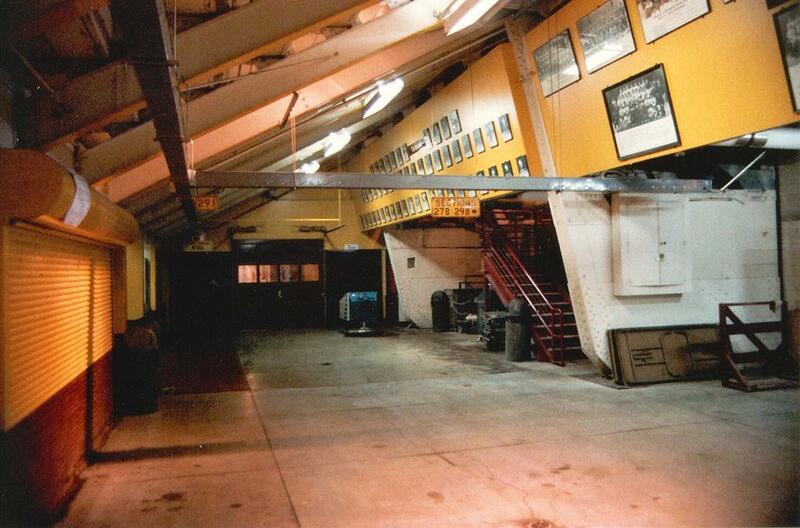 The memories of the Gophers hockey greats whom once played the game in this "old barn" remain in place forever. 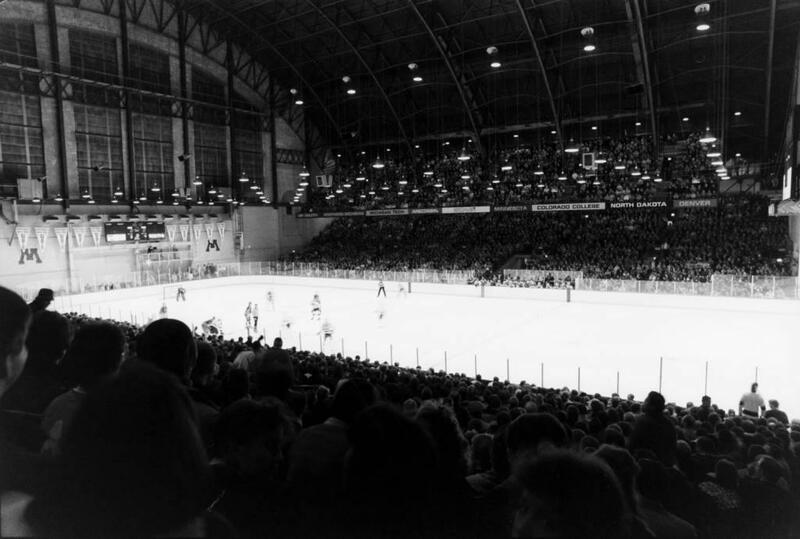 The only thing that doesn't remain is the smell of mini doughnuts, and peanuts that resonated through the halls at the old Mariucci arena that were a fan favorite when the puck dropped. 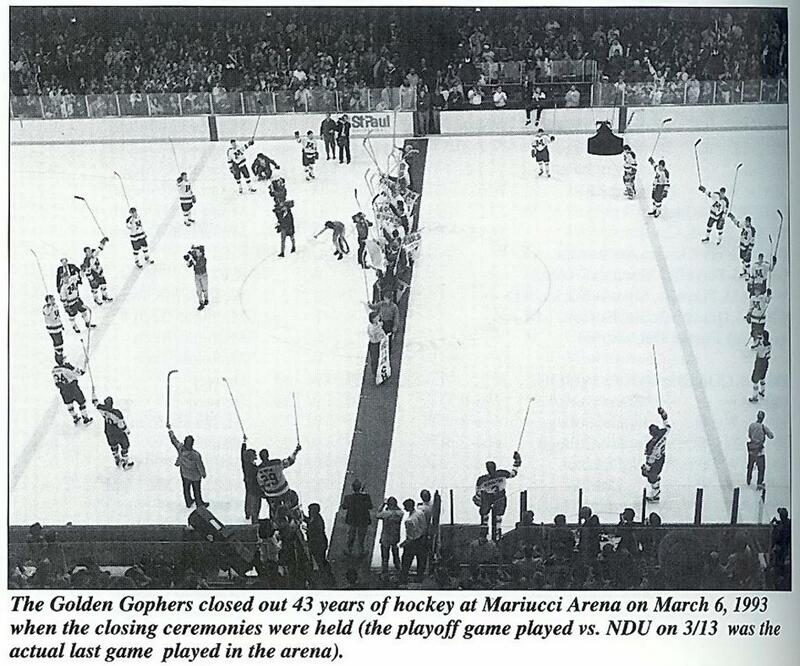 Source: Portions of this article from 1995 UofM Hockey Media Guide.